This tells you the location of the projects on your current PC. Using this you can browse the folder location on the PC and view the projects in that folder. There will be a .metadata folder (which you don’t need to copy). You can use the File->Export feature of Eclipse, but if you’re like me you have a few dozen projects in your Eclipse you don’t want to move them one at a time. 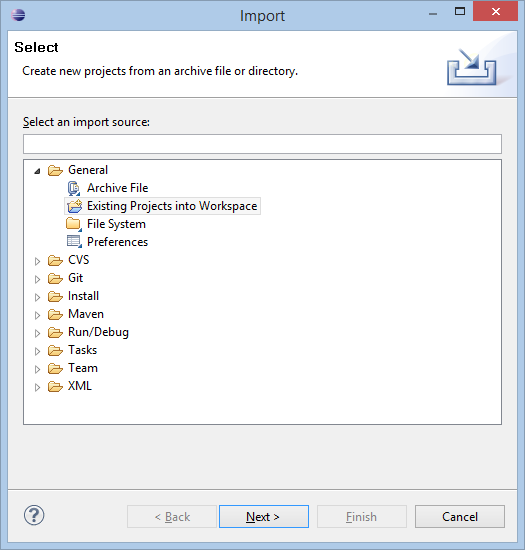 So all you need to do is copy the folders (project names) that you want onto a cloud drive such as drop box (or a memory stick or external drive) , then you are ready to import them into Eclipse. 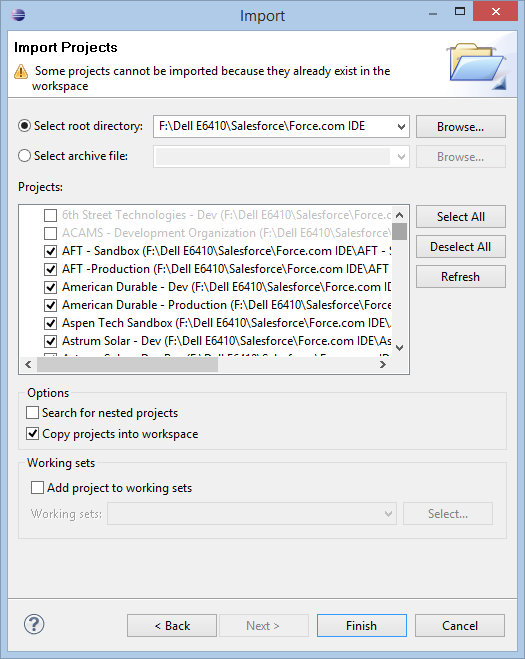 If you notice, when you select the top level folder Eclipse will discover ALL projects in the folder that are not currently in the project workspace. Click “Finish” and it will import the project. Now the project is in your Eclipse. Please note, that you may or may not need to perform an upgrade and that your password and token information DO NOT copy.